The 18th and 19th Century bore witness to the previously accepted wisdom of the ancients challenged and largely superseded, indubitably aided by the burgeoning interest in the collection, study and classification of naturally occurring objects from around the world. 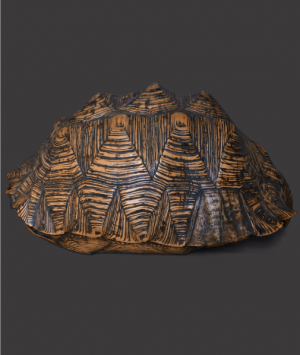 Trade, exploration and long voyages to exciting new areas of the globe provided favourable conditions for the acquisition of the raw materials which were amassed in to great collections. Admired and coveted for the wealth of knowledge and explanation they could impart through examination and comparison, these specimens were avariciously desired in equal measure for their diversity, complexity, sheer beauty and monetary value. 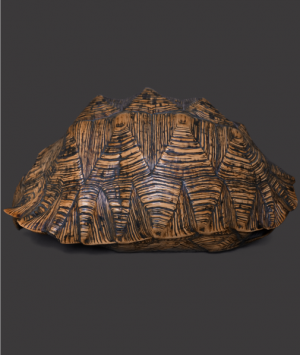 Their striking appearance ensured Tortoise carapace were a prolific feature in any noteworthy collection and were considered an essential ingredient in the formation of a ‘wunderkammer’, or ‘cabinet of curiosities’. 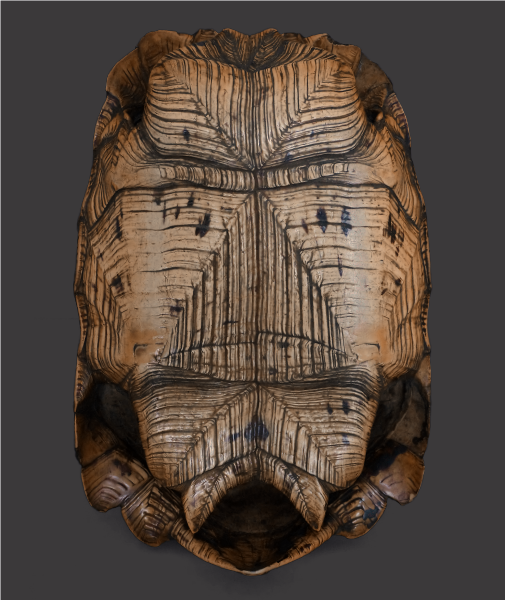 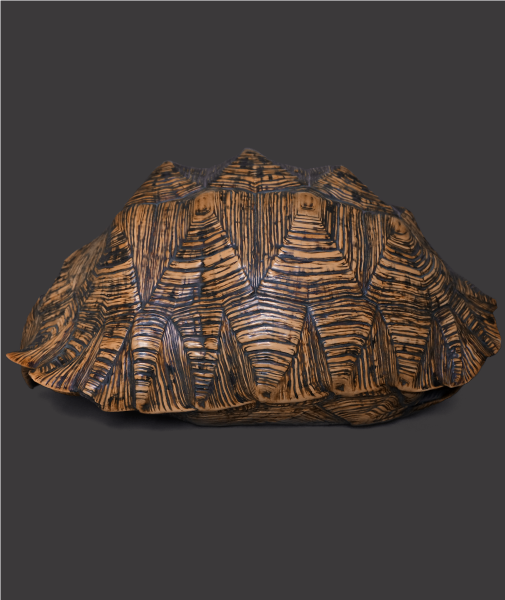 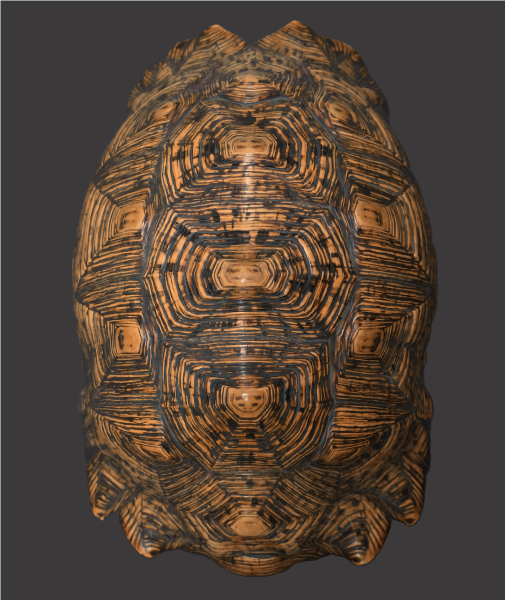 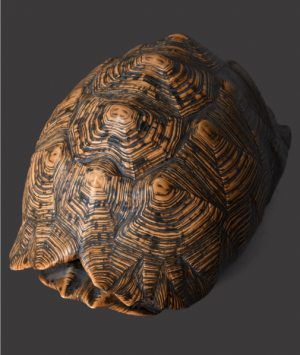 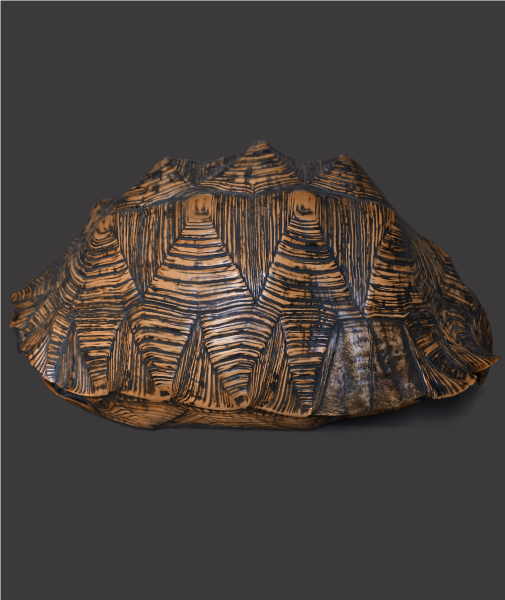 This fine 19th century African Spurred Tortoise shell is a typical specimen of the period.